On December 15, 1925, at the third building to bear the name Madison Square Garden—there’ve been four—the Montreal Canadiens battled the New York Americans in the first official U.S. NHL game ever. Hate to spoil the ending, but the Canadians won, three to one. Won, that is unless one counts himself amongst the Canadians who mark it as the last day of Canada’s national league. 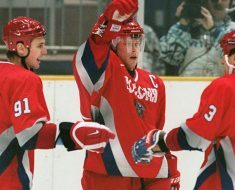 The story of the NHL’s premiere game and subsequent rocket ride share some story elements with the first NFL game. Prior to the big New York game, there were some scrappy teams making an effort to build fan bases, none of them with much success. Then someone promoted a big exhibition game at a New York venue. The resulting fever over the new sport was as contagious as the New York venue was necessary in both cases. 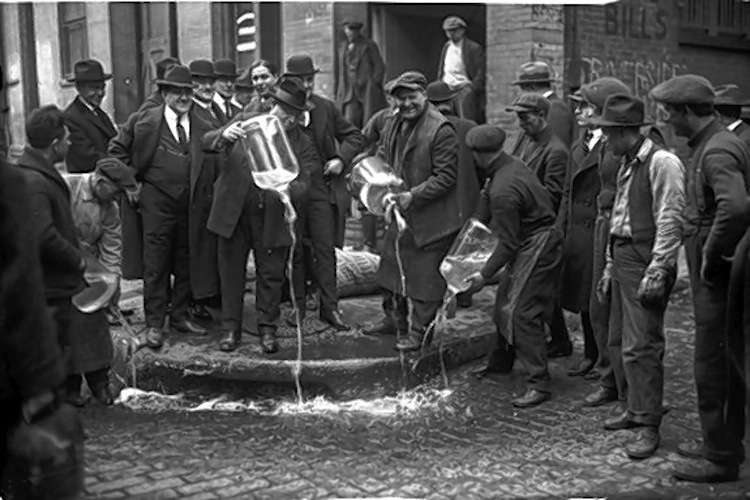 In 1920, the United States passed the 18th Amendment, prohibiting alcohol sales and consumption. This was good for business if one didn’t mind dealing with the black market and gangs. New York was a breeding ground for this Rodentia, making it a place of crime but also a place of money; at least until the end of the decade, but that’s too far ahead of the story. There was also money being made on Wall Street. No doubt, New York City was as dirty as it was affluent in the ’20s. The little island of Manhattan also enjoyed a massive population swell. Canada on the other hand, not so affluent, not so populated. The NHL, which started as a four-team sport in Canada wasn’t growing much in the ’20s. Cue: nearby New York City. Why not? The NFL had some success launching their league to the Americans via the American press in New York. It could work for Canada too. They just needed someone who could make all the moving part come together, the NHL would be flush with New York cash… but who could do it? 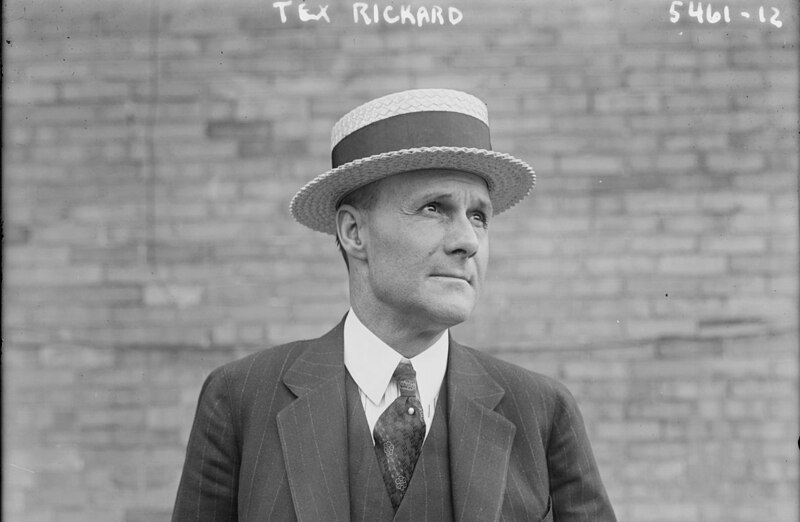 The man at the center of this story was Texan with a penchant for business, George “Tex” Rickard. 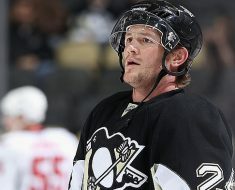 He had his hands in many cookie jars leading up to the ’20s, oil, diamonds, gold, but not hockey. In the early ’20s, Rickard picked up sports promotion as a talent, especially boxing. This would prove useful when he moved his life to New York. 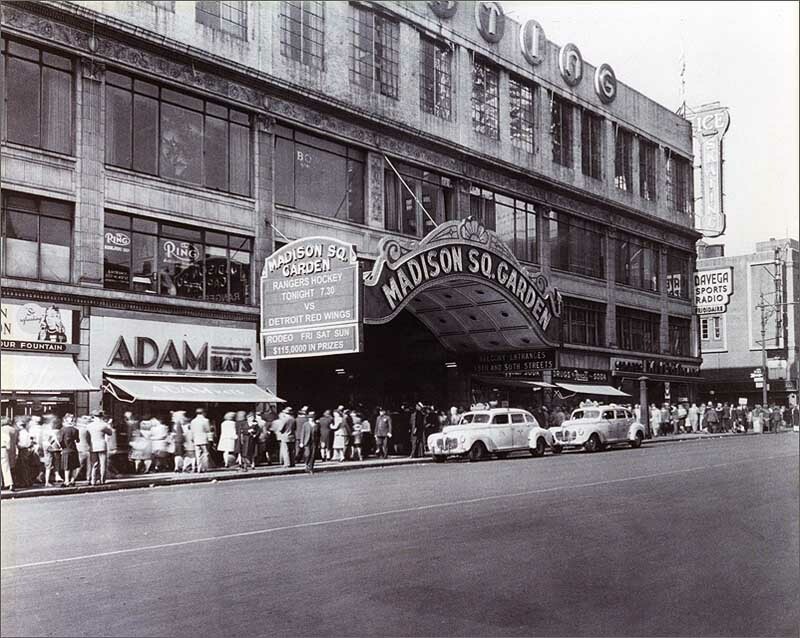 In 1920 New York, one of the business ventures Rickard picked up was promoting for the aging Madison Square Garden (MSG). This was Garden number two if you’re keeping track. He controlled it with a man named John Ringling, the circus guy. In 1924, Tex penned a deal to bring NHL hockey to the Garden, but his plans folded when the deed holders opted to raze the place. Rickard scouted a new location for a new MSG—number three—then got to work bringing all the pieces together. He only needed to finish construction, slated for late 1925, find a team, and promote an unknown sport. No biggie. All the moving parts came together by December 15, 1925. Construction crews completed the MSG III on the west side of 8th Avenue, between 49th and 50th Streets. The first American NHL team, the Bruins, was already up and running, but without a home arena. They played away games in 1924-25 in Canada. The New York team needed a big name so they went with a crowd pleaser, the Americans, mostly because “the Yankee Doodle Dandies” didn’t sound macho enough. The Americans wore red, white, and blue. Before the game, the blasted The Star Spangled Banner to beat back the Canadians song, God Save the Queen. By the time the puck his the ice in the new Garden, Rickard had promoted the hell out of the event, selling it like it was a black-tie event. He filled the arena with men in tuxedos and women in dresses, speckled with celebrities all dressed as if they’d arrived to watch a game of polo. 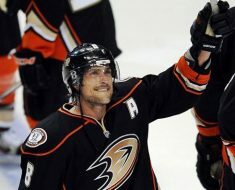 The game was a loss for the Americans, but not for Rickard. He made five times what he anticipated. He went on to create a second New York team, the Rangers. Their nickname was Tex’s Rangers. Like the effects of the NFL game in New York, the press went nuts. Plans pushed forward to put an arena and team in as many big cities as possible. 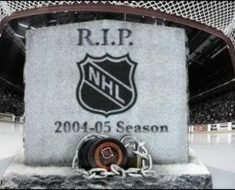 The Garden, however, would remain the cornerstone on the U.S. side of the NHL network. 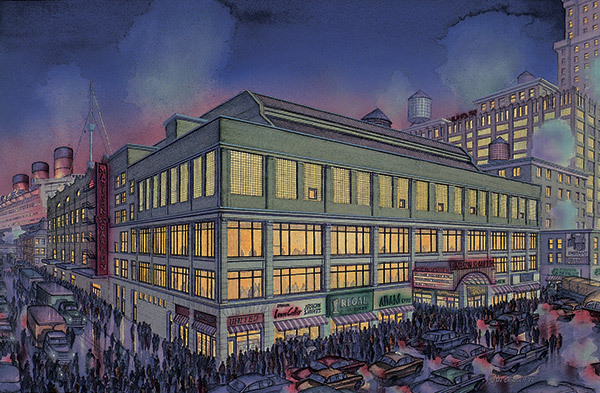 Rickard opened another in Boston, the Boston Madison Square Garden, which shortened to Boston Garden in time. No surprise, he died a wealthy man, in 1929; the man who simultaneously ruined and saved Canada’s national sport.